In Stephen King's mesmerizing new masterpiece - his biggest, most riveting novel since The Stand - a Maine town and its inhabitants are isolated from the world by an invisible, impenetrable dome. 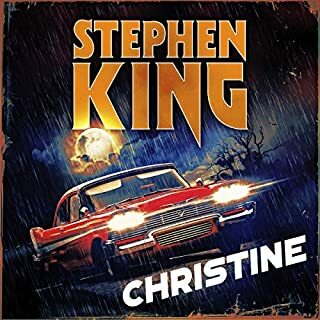 Celebrated storyteller Stephen King returns to his roots in this tour de force, featuring more than 100 characters - some heroic, some diabolical - and a supernatural element as baffling and chilling as any he's ever conjured. On an entirely normal, beautiful fall day in Chester's Mills, Maine, the town is inexplicably and suddenly sealed off from the rest of the world by an invisible force field. Planes crash into it and fall from the sky in flaming wreckage, a gardener's hand is severed as "the Dome" comes down on it, people running errands in the neighboring town are divided from their families, and cars explode on impact. No one can fathom what this barrier is, where it came from, and when - or if - it will go away. Dale Barbara, Iraq vet and now a short-order cook, finds himself teamed with a few intrepid citizens - town newspaper owner Julia Shumway, a physician's assistant at the hospital, a selectwoman, and three brave kids. Against them stands Big Jim Rennie, a politician who will stop at nothing - even murder - to hold the reins of power, and his son, who is keeping a horrible secret in a dark pantry. 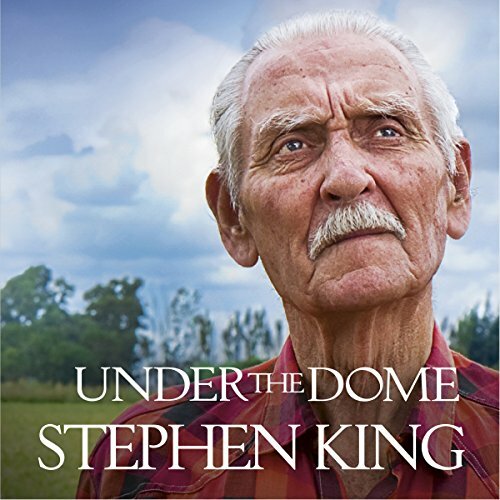 With some of the most spectacularly sinister characters King has ever imagined and a driving plot, Under the Dome is Stephen King at his epic best. 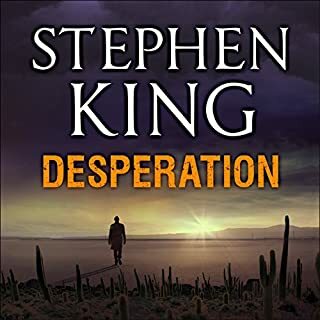 This book will thrill every listener who's ever loved a novel by King. I don't know what the equivalent of a page turner is in an audio book, but whatever it is, this has it! And if all the audio books I've listened to, this has to be the best performance by a narrator. So many characters and yet Raul managed to make each unique enough so each could be identified by their voice. Loved it! 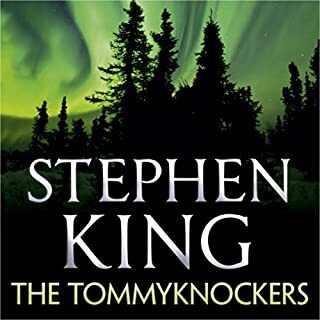 In my early years I read as much Stephen King as I could lay my hands on, Tommy Knockers, Misery and Needful Things being three of my favourites. Now, I’m a bit of a scaredy-cat and can’t read anything really scary, it’s not big and it’s not clever to have to wake up your teenage daughter to take you to the loo and wait until you are back in bed to turn out the lights! I am so happy to have come across this book, it is a great suspense novel with a little scare hear and there, believe it or not there were some laugh out loud moments and some tearful moments. I'm 57 and read books since I was 4, love the smell and touch of books, oh, and I was a printer for a long part of my life. So that is why it took me soooo long to pull the trigger and subscribe to Audible, quite frankly it felt false. I'm a huge podcast listener but somehow felt I was letting the team down listening to a audio book. 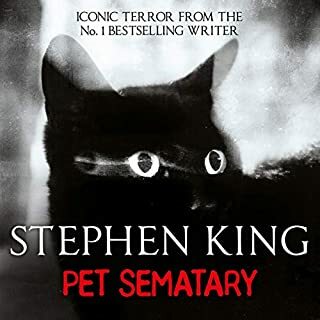 I spent my teenage years immersed in early Stephen King but went off in the early 90s, I picked this one because of some reviews and because I had a longing of being a young guy again lol. 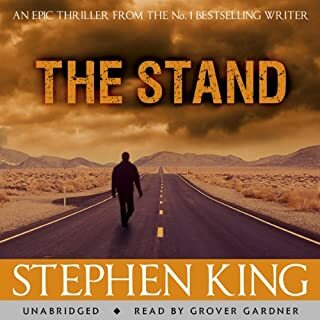 Really good read great narration and actually got me into King again.If you like King this is well worth a listen. Enjoyable listen, great cast of characters. One of my first Steven King novels in a long time, still has a good, dark edge. Plenty of characters to love and hate. The Narrator was brilliant...had a unique tone that helped keep the numerous characters distinct and easy to grasp. I hate Big Jim Rennie and that voice was perfect for me to dislike him more so. 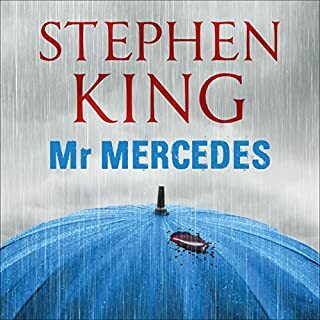 Looking forward to reading the book and already searching for another Stephen King Audible....I am just as eager to find anything narrated by Raul Esparza. Extremely satisfied with this purchase.....Have a listen, take the ride. feel immersed. you won't be disappointed. Flowed well. Good character description. Set the scene so you could imagine the growing panic & frustration. Made the reader really care about the various characters. Suspenseful in places. Great book & beautifully narrated. It took me a little while to finish this one, but I absolutely loved it! I began listening to it at the same time I started watching the tv series, and I love how each of the versions took on their own lives. Raul's performance was excellent, incredible that he could create and maintain so many different voices. 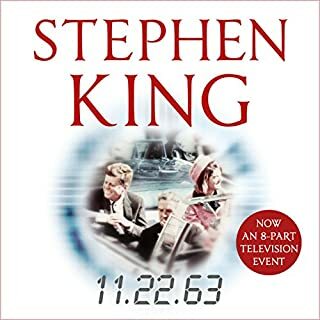 Stephen King remains the master storyteller, once again bringing to life many-faceted, diverse, and wonderfully flawed characters. Well done to all! Great characters and storyline. One of those one could just listen to for weeks and weeks. Wouldn't be surprised to see it become a mini series. Most reviews of this book say it's a return to the style of 'The Stand' - which is true - and no bad thing in itself! Characters - (of which there are dozens) are well rounded and believable. Plot - Entertaining throughout and frightening in parts. Interest is maintained throughout the book - although it may have been a slightly better book for being just a little shorter. Generally - well worth a listen - and well read. Recommended - try and make the time to listen to this book. It gave me a nightmare! 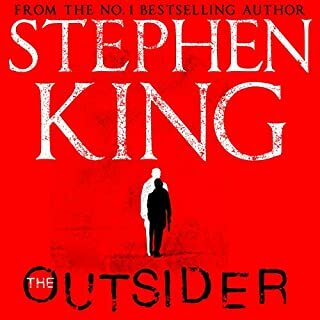 Typically Stephen King; at times disturbing with its graphic and quite brutal imagery, but no denying the skilfulness of the storytelling. Despite knowing where things were headed, and what was bound to happen, it was still a gripping ride. I did enjoy this – although it gave me a nightmare about being trapped a few days after finishing it (fortunately, only the one nightmare). This is another of those books which I will probably recall for many years to come. I couldn't quite decide between 4 or 5 stars. 4 because it was both so unlikely and yet predictable (and it gave me a nightmare!! ), but settled on 5 because despite the above, it is well written and the concept itself was thought provoking. In a previous review on a different book, I commented "good idea, poorly executed". This is the opposite: "Simple idea, very well executed". The narration is solid – good character definition with distinctly identifiable voices. 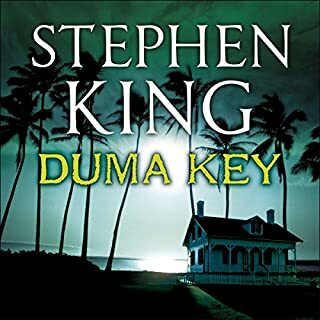 With this gargantuan book, King returns to the broad canvas approach of works like The Stand, as opposed to the more focused character pieces seen more recently in the excellent Duma Key. For all the scope and size of cast, it's still the character work that King excels at. Threading the story of a down at heel washer-up in a small town diner, the bitter small minded machinations of a local politico, the earnest idealism of the town's newspaper editor -idealism untested til now- and dozens more, he creates an evocative picture of how close to the edge of chaos we always live. In a way that TV's recent revival of Survivors could only gaze enviously at, he maps the collapse of order, celebrating the small victories for justice and the petty point scoring for venality. Several times while I was out walking or on a train listening to this I had to stop my self from shouting out in alarm for the fate of one or more characters. 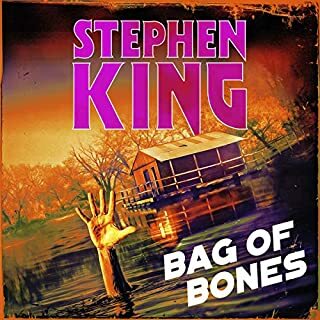 An absorbing listen, the narrator coming as close as I've heard to King's own inflections (as heard on Bag of Bones) giving it an authentic feel. It's a long book -it takes up five downloads- but it's a fabulous wallow, like a glass of malt whiskey on a cold winder night. Recommended. 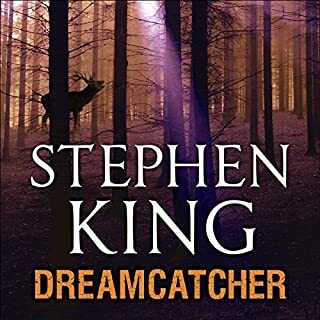 Not to make it sound like the book is unoriginal, it's just the characters and psychoses developed are so similar to those in countless other situation by King. 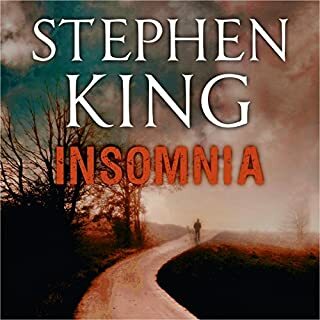 It is thoroughly readable/listenable, and I recommend this book if you like Stephen King, or just a decent thriller! But don't expect something new from the King of horror/thriller writing. People being trapped under a dome? Okay, that's not exactly unoriginal, but that's really only a small part of the book. The framework on which rests the character development and the good and evil elements of the heroes and villains of the piece. It is a roller coaster ride for sure, and i don't doubt anyone would enjoy this book, if they are considering it, or reading this. 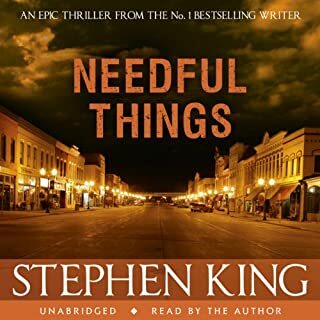 However, if you are new to King I recommend Needful Things, IT, Christine, Cujo, Carrie and even Dreamcatcher as original and exciting stories. I've struggled with some of King's recent stuff - for me his early works have a sharper edge, but this, I'm happy to say, is back to form. This feels like Stand-era King, in scale and style, and I love it. Raul Esparza voices dozens of characters uniquely - men, women, toddlers, grandparents... how does he *do* that? - but town official Jim Rennie steals the show. Where Cell was oversaturated with the supernatural, here the appearance of the dome on page one is enough to drive the very human chain of events that form the bulk of this long, but utterly engaging story. Have now listenend to this book twice in the past year. Narration is great Raul Esparza is terrific. Large cast in a small town. Some of it was dark and nasty, some is funny and uplifting. But showed what human nature is like when trapped. Some of the cast rise to the challange and of course some sink as low as is humanly possible. 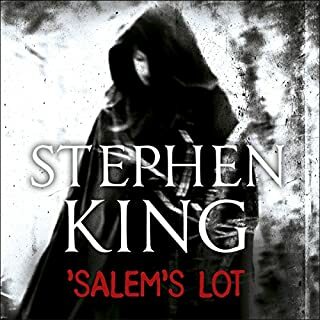 Well done Stephen King superb. Have been watching the mini series on T.V. It's nothing like the book. Not only is the story line different, the towns people are weak and rubbish. The only thing the same is the title. Stick with the book you can't go wrong. Enjoy. 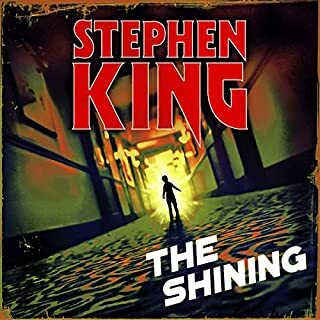 This was my first Stephen King novel and i loved every minute of it. Raul Esparza was a wonderful narrator (if only there where a lot more books to choose from with his narration). I recommend this to anyone. My next download has a lot to live up to. I have listened to this audio book five times and shall probably listen indefinately. 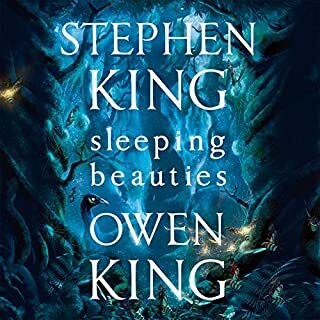 An amazing piece of work, one of King's best, the character list is immense and yet you get to know them all in detail, you can feel the sun on your face and the dust in your eyes, you can feel pain and happiness in chapters like you are actually experiencing it, you can eagerly and bitterly resent characters yet feel love and safety in others. The story is incredible and keeps you totally drawn in without allowing yourself to miss a single second. This truly is a masterpiece and wish I could erase it from memory so I can listen afresh over and over. Yes if they haven't read the book or seen the TV series, but if hooked still worth the listen to get the extra dimension and nuances. 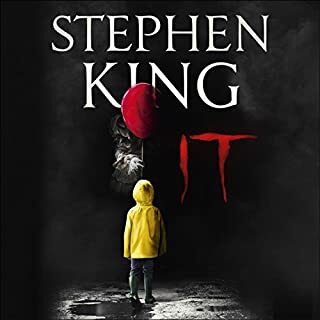 One of Stephen KIng's blockbusters so the story is long and has several twists. Also an allegory for USA and the values of indviduals and the human condition. What was one of the most memorable moments of Under the Dome? Don't want to spoil the story, but the dome coming down at the beginning is very vividly described and hints at rather than heavily or clumsily tells of the menace it represents. Have you listened to any of Raul Esparza’s other performances? How does this one compare? No, but very impressed in the consistency over more than 34 hours and the different voices and accents conveying the characters and their emotions and backgrounds. Makes it easy to immediately grasp the location and personae involved in this complex story with a large cast of characters and locations. YES! But this is impossible as >34 hours long so impossible as daily functions necessary. I was on holiday and it lasted over four days and drew complaints from my wife that I was ignoring her. Very good value for money and the audible version may enhance the story experience as the relevance of Yankee versus others was illustrated. 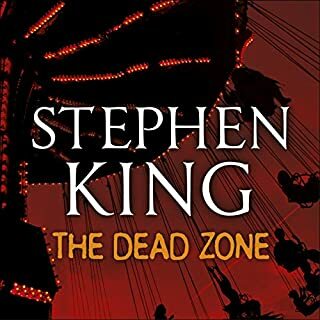 I've spent the past few months catching up with the works of Stephen King and this title did not disappoint, until right at the end. The story kicks into gear from the very first chapter and never falters or drags. The story twists and turns as the various power plays within the town develop and then start to run out of control. The narration by Paul Esparza was excellent throught, creating living breathing characters.